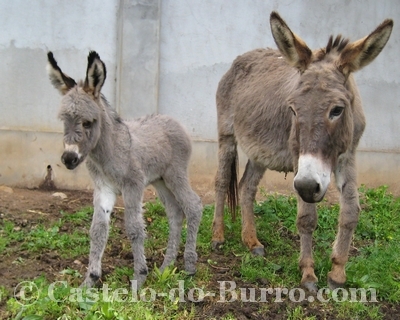 In 2006 the first foals were born at Castelo-do-Burro, whose names have started with the letter "A". In 2007 the names started with "B", in 2008 with "C" and so on (without "FVQWY"). Using this rule, the buyer has an easy way to find out in which year the foals were born. Jung donkeys that are older than 6 months can be taken immediately along with the purchase or transported by us. 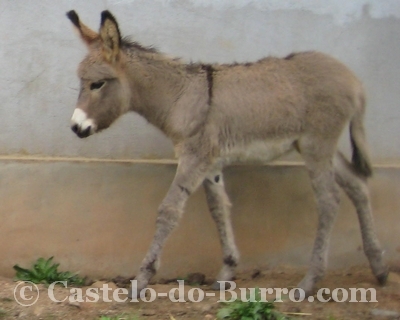 The procedure for the purchase of donkeys, which are younger than 6 months, you can see here. Visiting the donkeys to sell, is only possible by appointment.